Celebrate the season in style with personalized greetings! 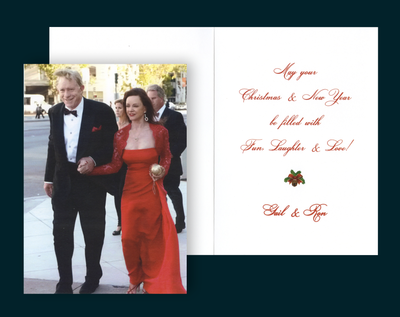 Fleming's Printed Affair is your first and last stop for Holiday and Christmas card shopping this year. 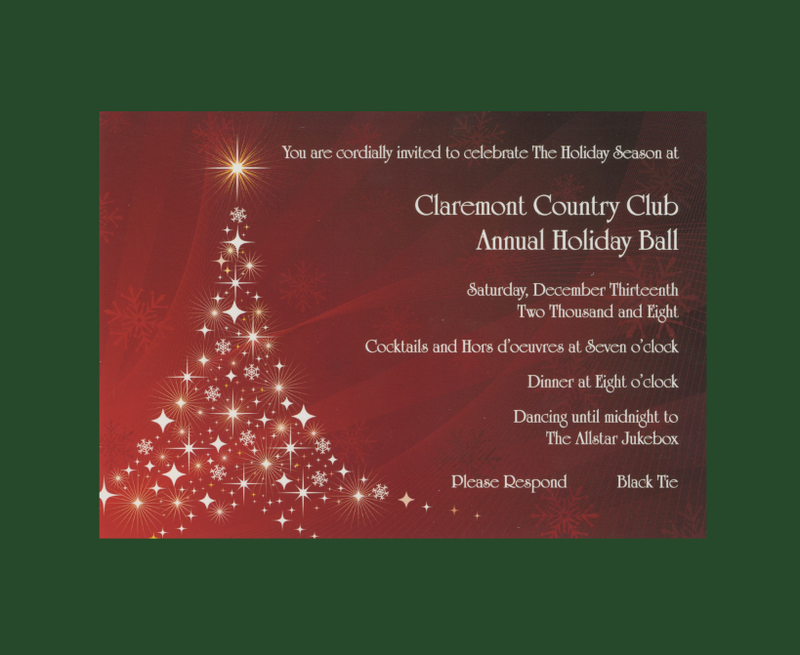 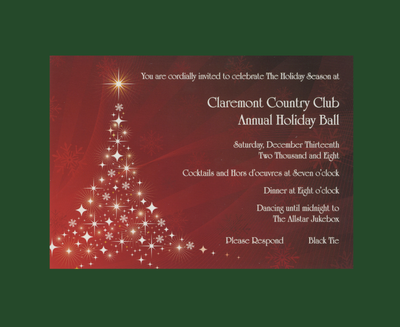 Choose from hundreds of designs created by the finest greeting card manufacturers such as Crane & Co., William Arthur, Caspari, Printswell and more. 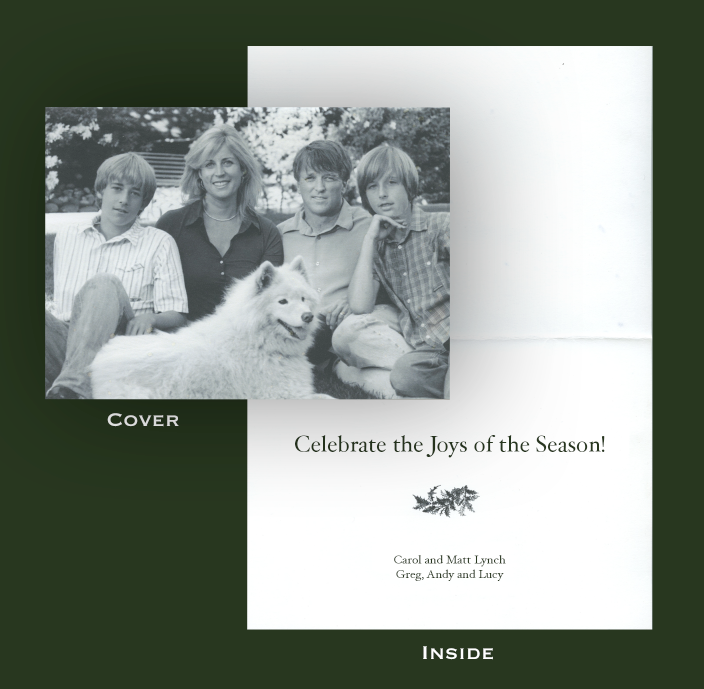 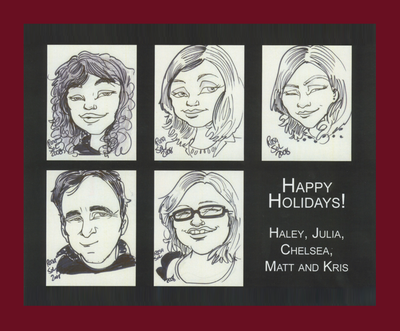 Create your own card and add your personalized style with family photos and text to spread holiday cheer this season. 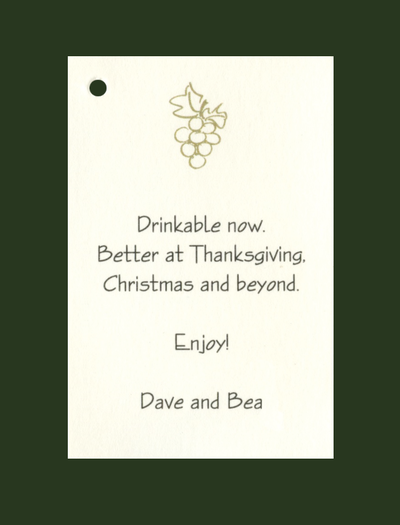 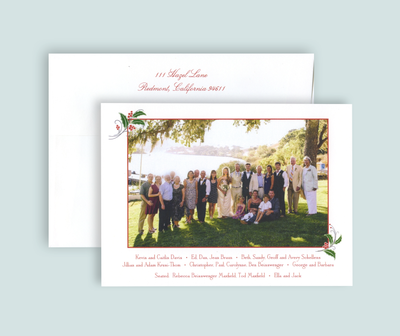 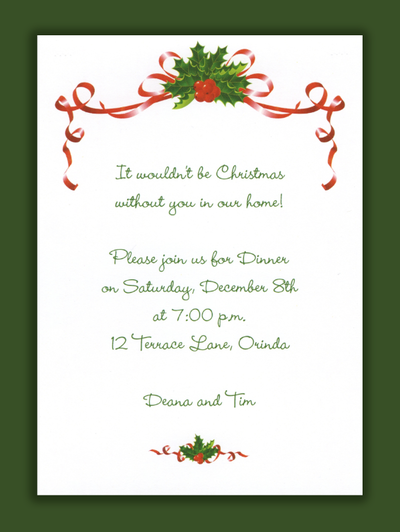 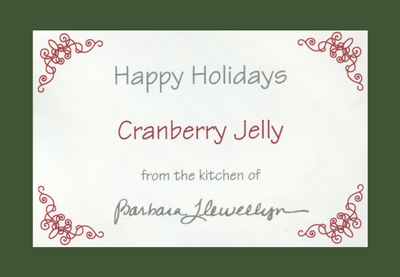 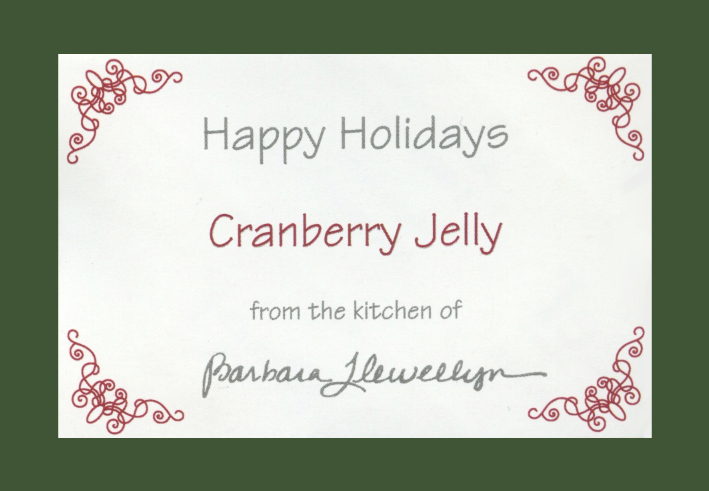 In addition, we offer digital calligraphy envelope addressing, festive return address labels, stickers, gift tags & enclosures. 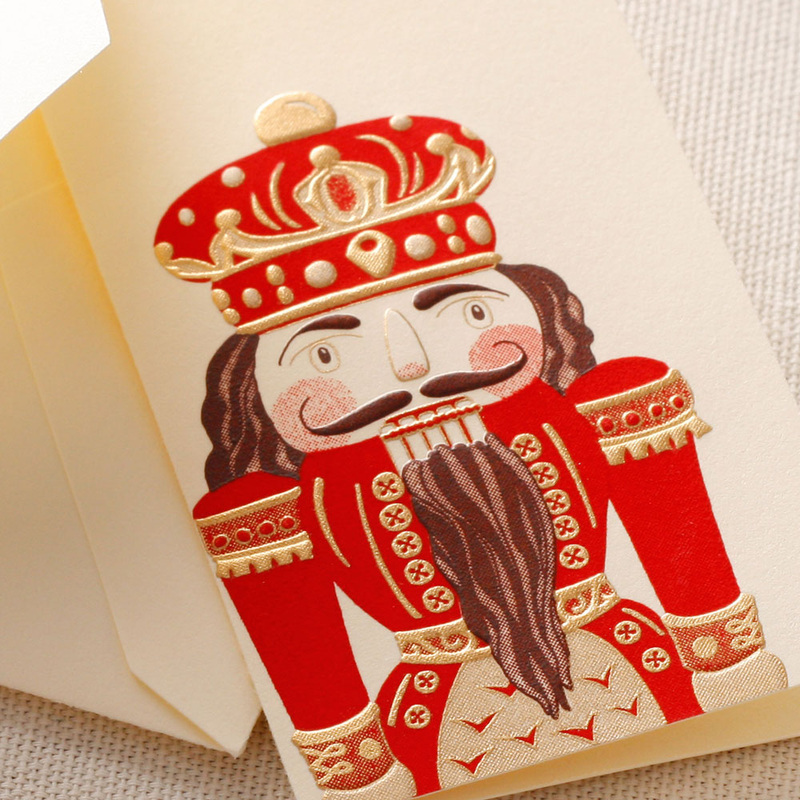 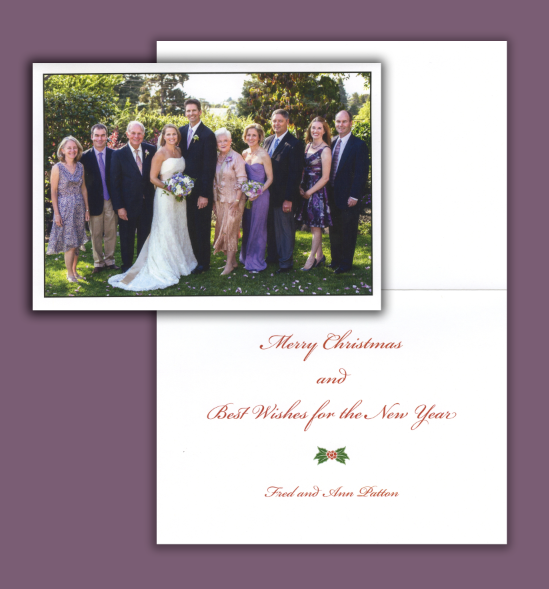 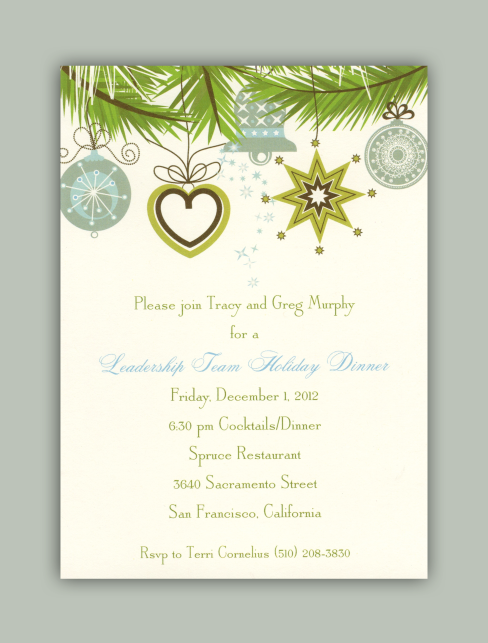 Send holiday flat cards, photo cards, and folded cards. 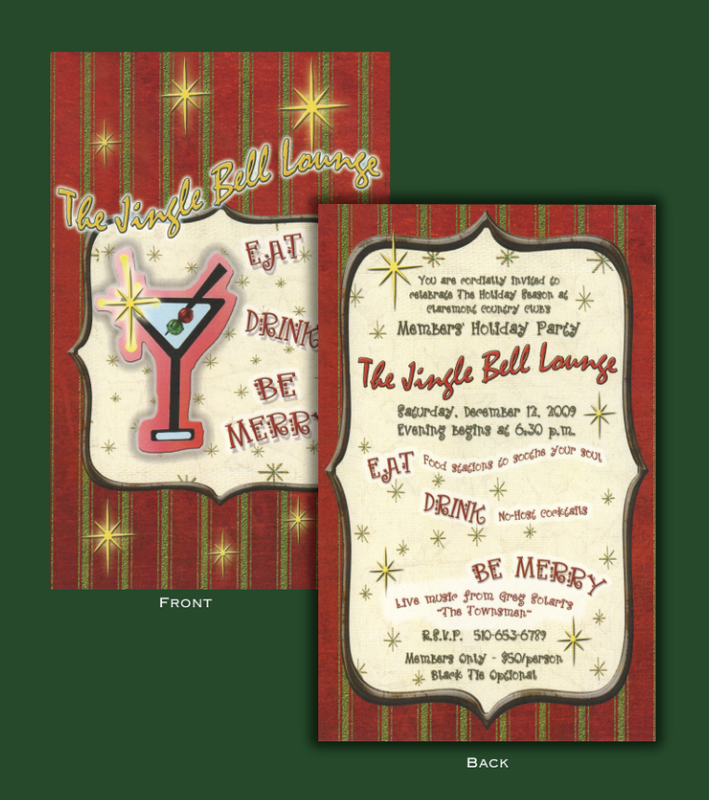 From modern and contemporary styles with bright colors and fun patterns to traditional classic designs, we have everything to make your holidays merry and bright!